All our Hard Copy versions come professionally printed and bound and include a copy of all our pre-written letters, as well as links to other websites, videos and court cases for additional information, all on an accompanying References CD. Please note that all Hard Copy orders are sent out via Express Post so you will receive them within a day or so of placing your order. 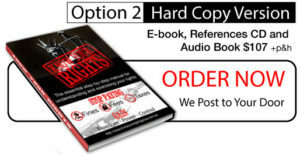 We are running a special 20% off Easter promotion on all our Hard Copy book options - just select the one you want from the link below and then type the word Easter into the Coupon Code box that comes up on the Shopping Cart page. All hard copy Memberships also include access to our Member's Only forum, where you can log in and ask questions at any time as well. And remember that our e-books come with a full 30 day money back guarantee! 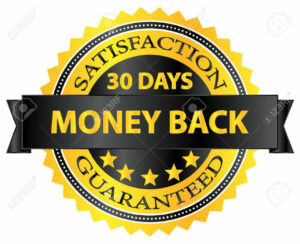 That means you have a full month to read through our e-book and implement the strategies that we provide and, if you're not 100% convinced that the information that we provide is everything we say it is, and more, simply let us know and we will give you a full refund (less P&H)! This is for those who signed up as a digital e-book member but now want to upgrade to the hard copy version at our cost price, which includes P&H via Express Post.